This is an important book useful and enjoyable for any go player beyond beginner. Kaku divides his problems into three classes: A, B and C classed as “x-dan in y-minutes”. Kaku stresses repeatedly that you should really ignore the ranks and that it is OK to look at the solutions straightaway, so long as you look at the problems repeatedly. Using the metaphor of Oriental martial arts, Class C problems deals with applying the “fundamental” fixed patterns of movements (kata in Japanese). When you look at Kaku’s Class C problems, you do get a real feeling of an opponent, who can dodge and twist against your just memorised kata but only in a basic and controlled way. Class B builds on Class C but the opponent is no longer the limp puppet when you first learned an application — he is still not really fighting back but is moving around energetically, forcing you not just to apply an application with technical fluency but to choose the right one and to time it right. With Class A problems, your opponent now doesn’t just dodge but punches back. Also, while this is going on, you still have to choose your application at the right time, and to nail the opponent you need to use one application just to get him off balance so that you can use another to score the full ippon. In general, for all the grades, I suppose you could knock off two grades to get a European equivalent, or one grade for a US equivalent, but the medicine in this book is still seriously strong stuff. However, I repeat Kaku’s repeated reminders that you can take small sips and that you should ignore the actual grades and concentrate on the kata-application-combat path. I’d be surprised if this book did not at least add a new dimension to the go of even already strongish amateurs. 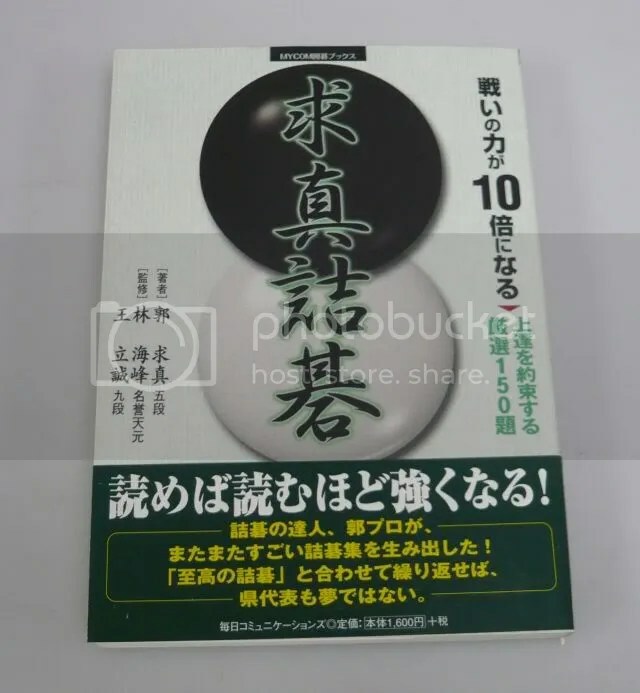 This entry was posted in Go Books - Japanese and tagged baduk, go, go problems, japanese book, kaku kyushin, tsumego, weiqi. Bookmark the permalink.